The October meeting was a superb evening when - with the aid of blackboard and chalk! - David Poynter and Chris Wood recounted some of their memories of their time teaching at the Piggott Junior School. David began with a time line of the Headmasters of the 2nd half of the 20th century - Freddie Mann from 1950, then Adrian Downton from 1969, Roger Free, who took over from 1974, and himself from 1981 until 2000. It was a period of change in education. 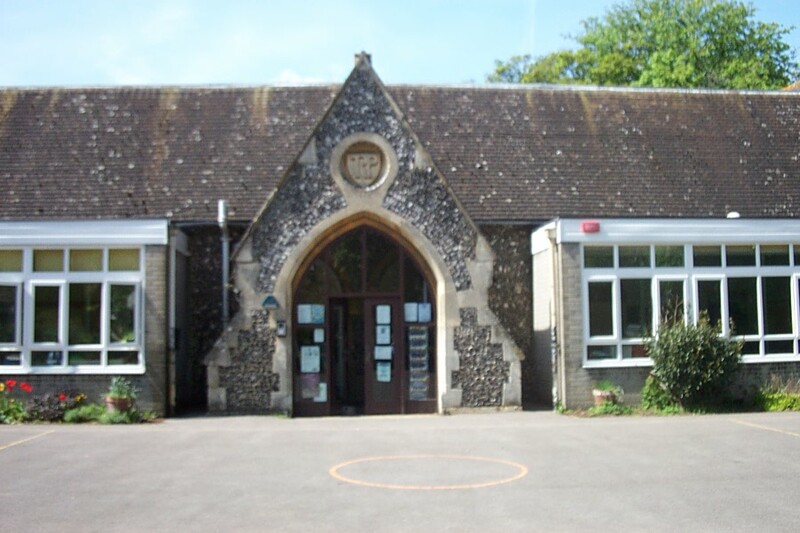 Before coming to Wargrave, David had been Headmaster at Finchampstead, a C of E aided school. There, the working of the school was overseen by 6 'Managers' - most appointed by the church - who met just 3 times a year to hear verbal reports. A 'Correspondent' minuted the meetings - and it was rare for meetings to last more than an hour. Heads were given a 'Handbook for Headmasters and Headmistresses, but there was no other 'training' - he 'took from those he had known' the best aspects of being a Head as a basis. By 1981, change was on the way. On arrival at Wargrave, he was invited to meet one of the governors, who was committed to work out the 'Secret Garden'. She - and her friends - thought that change was very necessary, as up until that time, education had been for too long 'down to teachers to decide'. In essence, there were two styles of teaching. One was 'child centred', pro-gressive, informal and based on a broad curriculum, whereas the other was 'subject centred', traditional, formal, and based on the "3R's". The 'pendulum' tended to swing to one end of the range or the other - whereas David said that the best practice was a balance in the middle of the range. The 'Big Change' also heralded the change from 6 'Managers' to 13 'Governors' - with the inclusion of teacher governors, parent governors - and the Head themselves if they wished (and it soon became clear that it was best to be one). Heads would have to 'sharpen their thinking', explain in written reports - and even 'staff minutes' became the order of the day. In the 1980s, a 'backlash' was occurring to education in our schools. The era when Adrian Downton had been Head was termed the 'Age of Enlightenment'. Chris Wood had spent a short while at the Infant School, where Ann Bushnell had told her "We do team teaching". 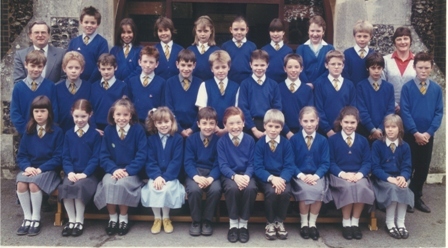 Chris's experience had been mainly of the 'traditional' variety in junior schools, and she soon joined Adrian at the Junior School. He was young, enthusiastic and had ways of 'getting people to do things'. Here team teaching was again being used, with (despite the Victorian building) an 'open plan' layout. In the mornings, work was 'area based' in areas for art, 'topic work' (mainly history and geography), maths / science, and English. Each child had a record card, so that they knew what each was doing, and these were reviewed by the staff every lunchtime. Every child was gainfully occupied in something they were capable of and interested in, and so behaviour problems did not arise. This worked because of staff commitment and a very good pupil to teacher ratio. The atmosphere was really good. The school introduced French teaching, and visits to France - very novel ideas for a junior school in the early 1970s. Reading University became interested, and many groups of teachers from the UK and abroad would visit to see the work being done. David then explained that the team teaching worked because of great efforts by the staff and the calibre of the people in-volved. In other schools, it was not possible for it to happen. The governing body also started to consider if it was what they 'really wanted to happen?' The 'backlash' resulted in a more traditional, formal, style using the "3R's" beginning to re-appear - a process accelerated by lack of funding for the pupil to teacher ratio needed. "Accountability" became a major factor, leading in turn to the National Curriculum and its 'sidekick', SATs. Initially, the latter were said to be a 'small part' of what happened in schools, but the consequence has been the league tables - and almost a return to the Victorian system of 'payment by results'. It became a mechanism for government (of all parties) to have a control over what was taught - and even how it was taught. It was almost back to the "3R's" experience, with maths, language and science the only subjects seen as 'important' by the politicians. Education had been squashed so that it was only seen as a means to train people for industry. The 'pendulum' had swung to the other extreme - whereas what was needed was a balance in the middle. David lamented the passing of the old school 'Log Books' - a place where the Headteacher could write what they wanted to say - a day by day record of life in school - and not 'what government required them to write'. David and Chris entertained the meeting by recalling many 'incidents' - such as how to deal with the termly inspection of buildings, how to get 60 or more children to move from one area to another by 'Chinese whispers', junior pupils using their French in Boulogne, or taking a large group camping in the grounds of a Dorset school. Our next meeting is on Tuesday, November 9th, when Tony Weston will give his presentation on A Woman in Wax - about Madame Tussaud and her famous waxworks, whilst on Tuesday, December 14th the Society will hold its Christmas Party - to which members are asked to bring 'an item of interest' maybe with an 'historic flavour', a 'village connection', an old implement for which the use is not obvious, or an item with an 'interesting story' about what it is, how it was found, or who it belonged to. Then on Tuesday, January 11th 2011, Duncan MacKay will talk about The Secret Thames - some of the less obvious aspects of the river.